It is incumbent upon man to become aware of the powerful forces that surround him and may be leading him to a possible unexpected outcome. He must come out of complacency and see his purpose for what it is was meant to be by the Creator. The status quo of oil should be slowly but unequivocally phased out. When it first oozed from the ground, it became the driving force of the economy. It was meant to be that way. God made sure of that. But man has decided today to abuse that purpose by using it to manipulate economies and start wars in the name of peace, only to lead man in the path of destruction by the way of an agenda. Man feels he must take control of man, contrary to the wishes of God. But man can save himself by bringing about the change that is waiting to be unveiled in the ushering in of free energy. It is real but must be given the proper venue. My life tells a metaphor as a connection, like thunder as the voice of God and lighting as the glare of his eyes that foretell a warning, though it is so common, man tends not to see the connection. He must look at things differently. It is not for me to judge. The Creator has the last word on that, just as He has the last word in the written prophesies. However, I can suggest, though controversial it might seem, but not to dismiss that perhaps it is a destiny to fit within the context of prophetical events. My inquisitiveness, with its very humble beginnings and all of its twists and turns, brought me to these times and led me to a quest to seek a truth that must be acknowledged. It is the key to avert war and bring about peace. It is the simple inventions in search of that truth that so many are seeking, including me. It is the connection between God and man just as certain as Jesus was His begotten son to serve as the check and balance for the assurance of peace if man chooses. And it is the complete story a metaphor that parallels the troubles of man with the possible outcomes and in congruence with the vigilance of the angels who don't sleep but are paying attention, who will allow peace, lest man bring wrath upon himself. 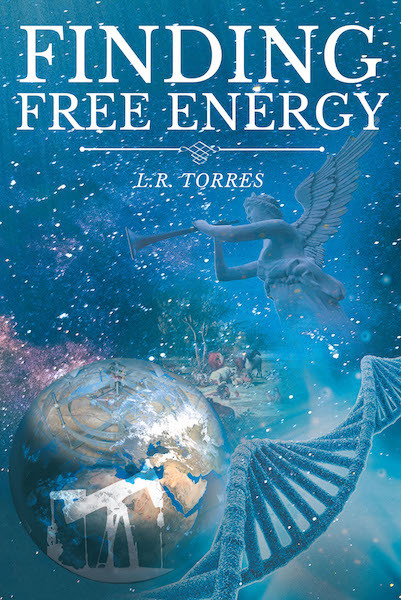 He is the magnet that holds the truth as is the physical magnet that holds that secret, the secret to Finding Free Energy.